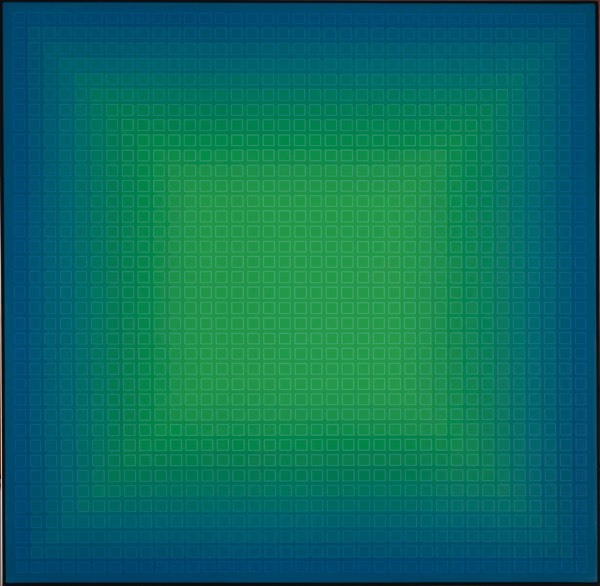 Northeast Ohio’s Julian Stanczak pioneered the development of perceptual abstraction. 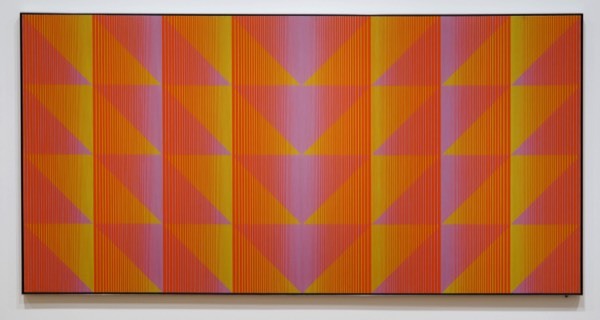 The artist’s 1964 one-person exhibition at Martha Jackson Gallery was the impetus for the term “Op” art and his work has been featured in important publications and exhibitions throughout the world. Stanczak, whose dreams of becoming a cellist were dashed when he lost the use of his right arm while in a Siberian concentration camp, spent much of his youth in a refugee center in Uganda where he learned to paint. One of the Cleveland Institute of Art’s most distinguished alumni, he has been accorded many awards, including the first honorary doctorate Case Western Reserve University presented to a painter. Since the 1960s, Stanczak has drawn upon his understanding of how color is perceived to create dynamic abstract compositions. Dual Glare is an example of the artist’s Line Condensations, in which he uses lines of color in sequences that become tighter and then loosen. Three saturated colors of equal intensity, but different wavelengths—cadmium red, green and blue—define trapezoidal forms that touch one another. The different spacing of the warm and cool lines of color causes the eye to perceive them in a manner that differs from their physical reality. Through the conflict of trying to focus on one color separate from the other, which is precluded by the tight spacing, light is emitted. These effects are heightened by the flat application of paint and the bright hues, which became available after acrylic and polymer paints were developed. Dual Glare was purchased from the one-person exhibition the Akron Art Museum organized for Julian Stanczak the year it was painted. 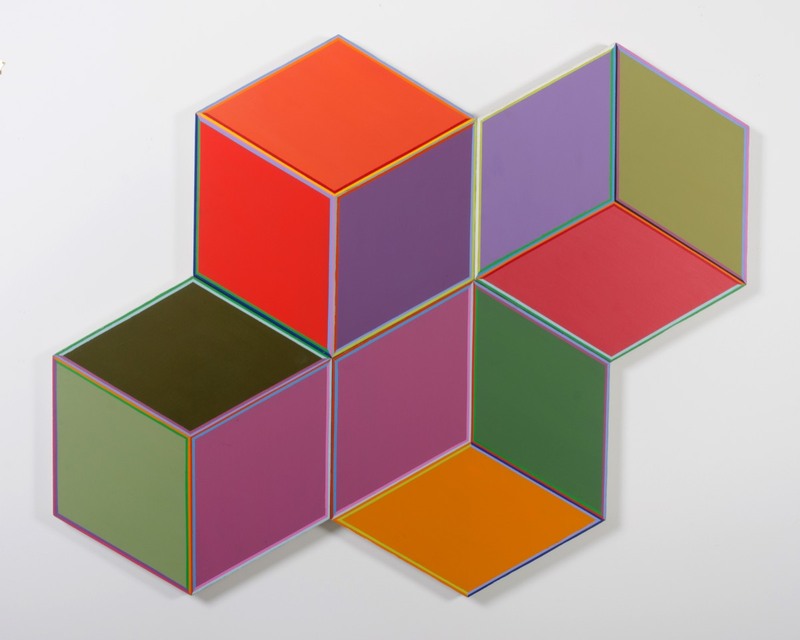 The Museum has since acquired ten additional works by the artist, which were featured in its 2013 exhibition Line Color Illusion: 40 Years of Julian Stanczak. 62 ½ x 78 in.